Continuing the legacy made in Solarize Dunwoody, Solarize Atlanta continues to break new ground in the adoption of battery storage technology. Solar+Storage is officially a "thing" now and it looks like it's here to stay. For a long time, the solar industry has been waiting for affordable energy storage, and when it comes, it will be a game changer. Why? While solar has quickly become the cleanest, most affordable and lowest maintenance form of energy generation for homeowners and businesses in Georgia, at night and during cloudy days, we are still dependent on grid power which is comprised of over 70% fossil fuels. Energy storage changes all that. With energy storage, we can now save energy generated from the sun and save it in a lithium-based battery system. Not only does this help us use the sun's energy on cloudy days and nights but it also serves as an emergency backup in case the grid goes down. Historically in Georgia and in other Solarize programs around the state, affordable and reliable energy storage options remained elusive and always a year or two away. For now at lest Dunwoody is still the king of storage. 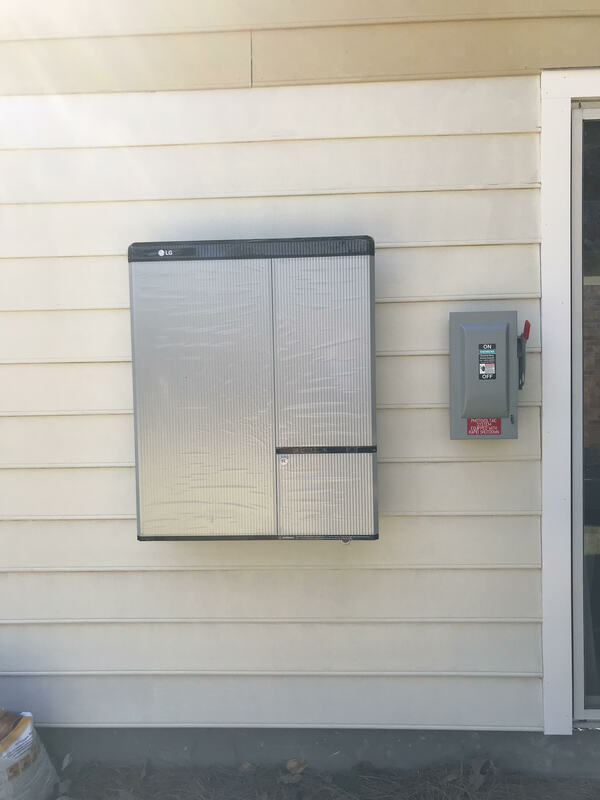 Out of the 52 residents that went solar with Solarize Dunwoody, 65% also purchased at least one battery adding up to a combined 499.50kWh of energy storage. While most people purchased one battery, some purchased two or three for extra storage power! The amount of uptake of energy storage in Solarize Dunwoody had never been seen before in Georgia and now we are seeing the trend continue in other Solarize campaigns. For the first time in a local solarize program, Solarize Atlanta incorporated a tiered pricing schedule for batteries just like we do for solar. The more people that purchase battery storage systems the cheaper the price gets for everyone. Of the 72 residents that have "gone solar" through Solarize Atlanta, about 50% are also purchasing battery systems. So far, 37 residents have added storage totaling 354kWh, meaning we are right in the middle of Tier 4 battery pricing. It remains to be seen whether Atlanta can surpass Dunwoody to become the metro energy storage leader but there is no doubt Atlantans are embracing this cutting edge technology and it's no surprise why. 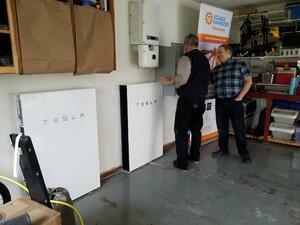 Battery storage is very versatile helping homeowners and business save money and become more resilient. We can store solar energy during the day and use it at night and on cloudy days. With battery storage different utility rate plans, such as TOU (time of use), can be used to save even more money using clean, renewable energy. Perhaps most importantly, battery storage can be used as an emergency back up when the grid goes down. Solar+Storage = resiliency which is becoming more important when storms become more frequent and powerful and the electricity grid can be vulnerable to hacking and other security concerns. If you are interested in learning more about how solar energy and battery storage systems can benefit you, sign up at SolarizeATL.com by October 31st (Residential deadline) and December 31st (Commercial deadline) to lock in volume discount Solarize Atlanta pricing and get a free, no-obligation Solar+Storage evaluation.